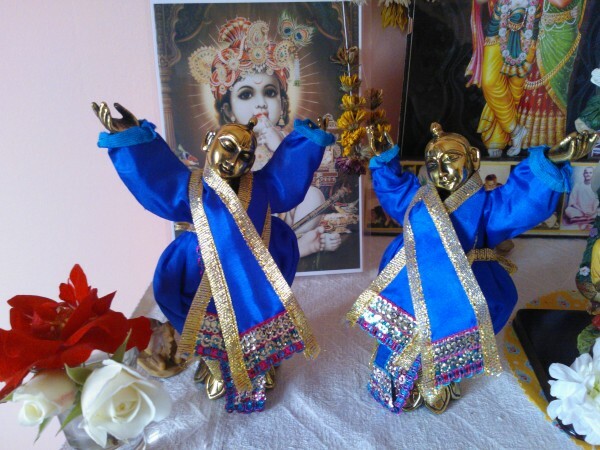 These dolls / deities of Lord Caitanya and Nityananda are nice as regular deities. You can also have kids play with them. A group of devotees have became very inspired by reading Srila Prabhupada's descriptions of the benefits of worshipping Krishna dolls. It is very nice for everyone, children of course can benefit greatly from this. If they get the idea of worshipping Krishna from their childhood that will be very good for them. And they naturally want to imitate. Srila Prabhuapda often wrote that he would visit the temple in his neighbourhood and observe the worship of the Deity by the pujaris there and he would go home and imitated the same worship with the small deities his father gave him. 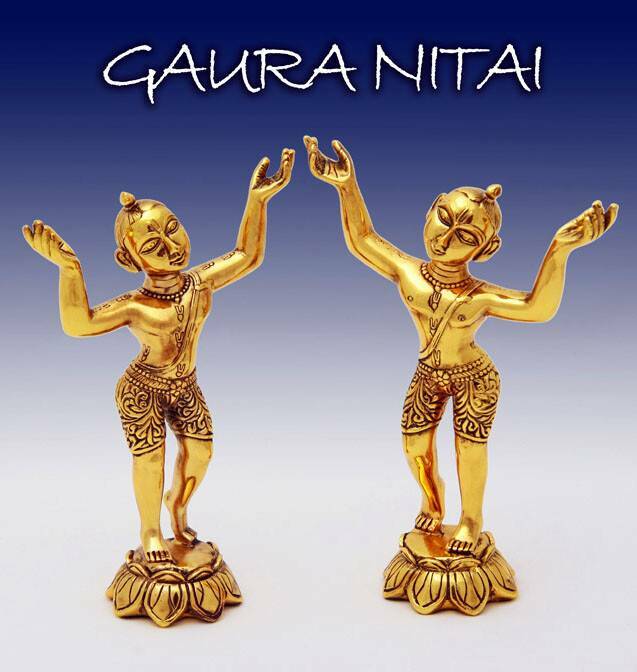 So they have produced these very beautiful Gaura-Nitai dolls. This is Lord Caitanya and Lord Nityananda, the most merciful incarnation of Krishna, appearing in this beautiful form. These dolls are crafted from polyresin and you can choose between the metalic golden, copper, silver or brass finishes. Question: Hare Krishna. What is the material of the dolls? Are they identical?